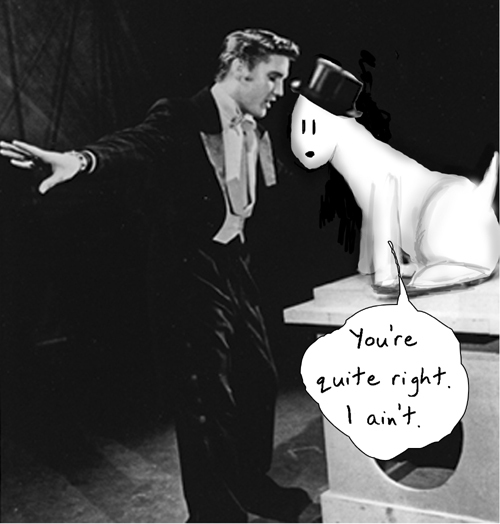 1956: In order to distract from his lascivious pelvic movements, the producers of the Steve Allen show dress Elvis in tails and partner him with a big dog for a performance of his hit "You Ain't Nothing But a Dig Dog." Didn't the two of them partner up and go on to have a few hits together? What's it all about, then?